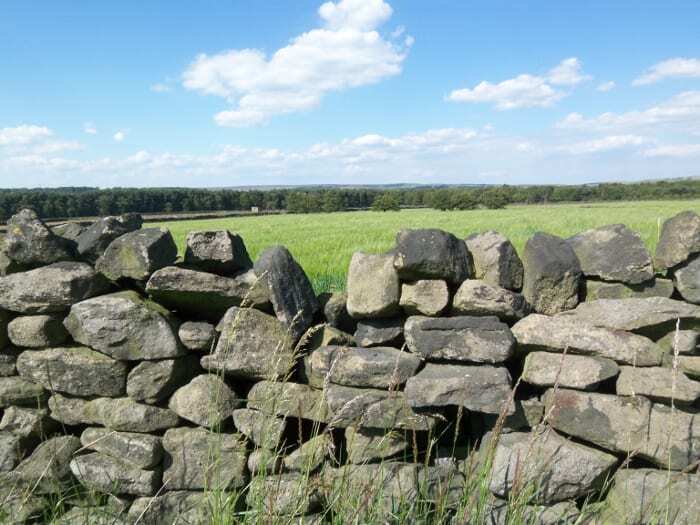 This is a great walk if you are looking for something combining history and nature. You can do the walk in just over 2.5 hours (4.5 miles) but the terrain can be steep in some places. The St Ives estate was owned by the Ferrand’s family and they made some large contributions into shaping its landscape during the 18th and 19th centuries. Today most of it is owned by Bradford Metropolitan District Council and it has become one of the outdoor visitor highlights in Bingley. A traditional pub near Harden Beck Bridge. A Garden & Leisure Centre on Harden Lane hosting a café serving good comforting food. Starting in the town centre outside Bingley Arts Centre, make your way towards Myrtle Park, pass the swimming pool on your right and enter the park. Cross the park completely to find yourself near the River Aire bank and go over the green steel bridge. Carry on straight up the wooded area and follow the steps and path up the hill until you reach Harden Road. Bear left towards St Ives entrance but once you’ve reached Beckfoot Lane, cross the road and find yourself on the other side in St Ives Estate. The path will lead you to the bottom car park of the estate. There in front of you, you should see a large meadow area. Find the stile and go over the wooden fence. You will now walk in the meadows and cross two stiles and then bear right towards the wood’s edge – you should see a ruined barn on your right too. Follow the path in the woods which will lead you to Baxter’s Pond, a beautiful water feature which the Ferrands built in the nineteenth century. There are quite a few private houses behind the pond which used to be part of the estate. So use the paths with consideration as cars are also using them. Once you’ve had enough time admiring and relaxing at the pond, make your way towards the Western entrance where you will see Beckie’s Lodge. Turn left down Keighley road towards Harden village. Cross Harden Road carefully (there is a crossing up the road on your right) and then walk along Wilsden Road. This will take you all the way to Harden Beck – walk on the bridge carefully as there aren’t any pavement. On the other side of the bridge is The Malt pub, a great traditional public house serving home made food – perfect if you need a break on this walk! Once you are ready to go, instead of walking on busy Harden Lane, we strongly invite you to take Mill Hill Top up to the Stephen H. Smith’s Garden & Leisure Centre. Again another great place if you need a break and we totally recommend the café. To carry on the walk you need to cross the busy Harden Lane in front on the Garden Centre main access where you will find a hole in the opposite wall. Behind it a path leads you down a steep and sometimes muddy path. At the bottom you will walk over a wooden bridge crossing the Mytholme Beck. At the end of the path and after the gate, bear right towards the Banktop quarry. Soon after the quarry entrance you will walk on tarmac along Lee Lane. Carry on until you see a footpath sign turning left into a field. This is the Millennium Way leading you towards Black Hills. Cross the fields and enter the Black Hills woods until you reach a crossing of paths. You need to go left and down following a very steep and rough path which will lead you outside the plantation. Then across the golf course following the white rocks leading towards Beckfoot Lane. Cross Harden Beck on a footbridge and turn right towards the old pack horse bridge – note: if you turn left on Beckfoot Lane and walk all the way up you will end up on Harden Road near the entrance to Bingley St Ives bottom car park. Once at the old pack horse bridge, take your time to admire the scenery, one of the most picturesque part of Bingley. Then cross the beck a second time. Once on the other side, pass the small settlement of houses and follow the tarmac road along the allotments on your left. Soon you will turn left on a footpath keeping the allotments on your left hand side. The path goes towards Myrtle Park and crosses the River Aire on a large steel bridge. You can now easily go back to the town centre or stop at Tarquin’s tea room for refreshments. Thanks for your feedback Jodee. 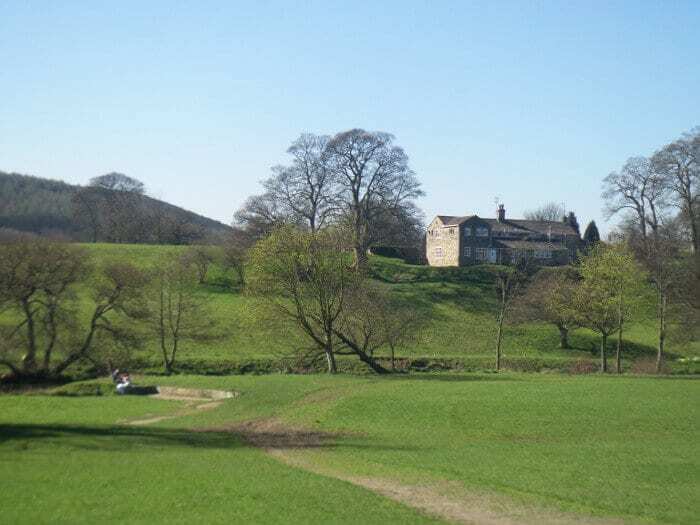 The description on this walk is with a start from Bingley Arts Centre so to go back there walkers will need to turn right on Beckfoot Lane towards the Pack Horse Bridge. However, if you start from Bingley St Ives bottom car park your description is correct and you need to turn left. I’ve now amended this to make it clearer.